Lawmakers on Capitol Hill questioned top executives at Facebook and Twitter on Wednesday about their companies’ ability to thwart foreign interference, and hinted that industry regulations may be coming. Shares of Twitter fell nearly 5 percent after the hearing concluded. Facebook shares declined about 1.5 percent. The hearing attended by Sheryl Sandberg, Facebook Inc.’s chief operating officer, and Twitter Inc. Chief Executive Jack Dorsey was designed to address foreign influence, but included a sprawling list of grievances against the nation’s biggest and most influential social networks. Senators asked about user privacy, misinformation and services in nondemocratic countries. Google was conspicuously absent from the hearing. The Senate committee had invited Larry Page, chief executive of Google’s parent company Alphabet Inc. But Google declined and countered by offering to send its chief legal officer, Kent Walker. The committee rejected Page’s replacement and Google submitted written testimony instead that focused on security measures. Members of the committee wanted to ask about reports that Google was working on a censored search engine for China. The company has also been criticized for its handling of YouTube, which has also been exploited for foreign propaganda. “I’m deeply disappointed that Google, one of the most influential digital platforms in the world, chose not to send its own top corporate leadership to engage this committee,” Warner said in his prepared remarks. Other senators also expressed disappointment in Google, which was represented at the hearing by an empty chair. Sen. Marco Rubio, R-Fla., used the company’s absence as the impetus to ask Sandberg and Dorsey about whether they retain their company values in foreign markets with nondemocratic leadership. He cited Twitter’s willingness to block government critics in Turkey and reports that Facebook had worked on a program that would restrict certain content depending on a user’s geography. “We support our principles all around the world,” Sandberg responded. Dorsey said Twitter has to comply with local laws. He said people in Turkey are still able to read banned accounts by using virtual private network software. Rubio appeared to have gotten into an altercation with conspiracy theorist and InfoWars host Alex Jones outside the hearing, video shows. Jones, whose content has been taken down by YouTube and Facebook, wanted Rubio to address allegations that the platforms are censoring conservatives. “Don’t touch me again,” Rubio told Jones after the host patted the senator on the shoulder during an interview with reporters. Jones called Rubio a “frat boy” as the senator walked away. Dorsey faced the House Energy and Commerce Committee later in the day to address charges of political bias on Twitter. Conservatives, led by President Donald Trump, have accused Twitter of stifling right-wing voices on the platform. 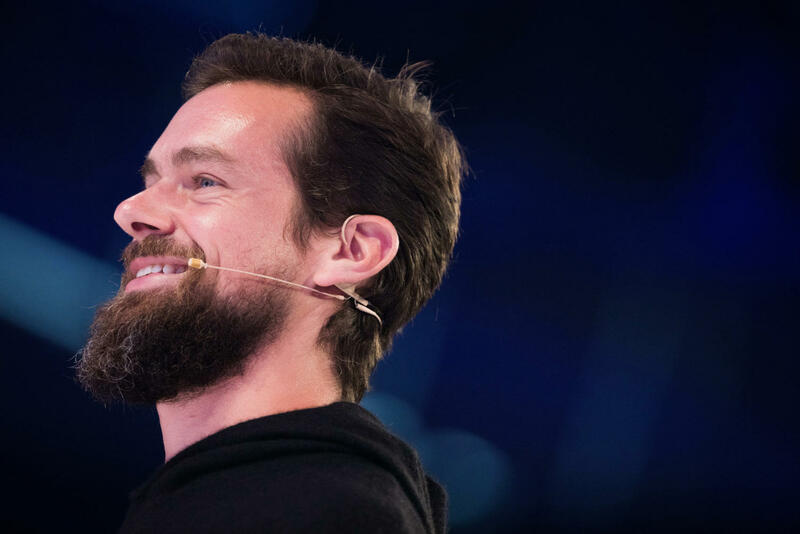 Twitter has vehemently denied censoring conservatives _ and has even angered critics on the left for allowing Jones back onto the social network after a brief suspension. Dorsey said the company’s algorithm did this because it weighed the “behavior” of people following the accounts. Still, critics called charges of censorship dubious. The hearing, they said, was political theater. Twitter has no obligation to uphold the First Amendment; free-speech laws apply only to government entities. “Other than election-related activity of non-U.S. actors, there is almost nothing Congress can do when it comes to policing speech in any medium, as Congress surely knows,” said Larry Downes, project director at the Georgetown Center for Business and Public Policy. Sandberg’s appearance before the Senate comes five months after her boss, Facebook Chief Executive Mark Zuckerberg, faced Congress in hearings that mostly underscored how ill-equipped lawmakers were dealing with the complexity of foreign influence and data privacy. In prepared remarks, Sandberg reiterated Facebook’s regret for not acting more swiftly to prevent foreign meddling on its networks in the lead-up to the 2016 election, and highlighted how much the company has done since. Facebook has doubled the number of workers focused on security and safety issues to 20,000. And it’s shutting down more accounts it calls “inauthentic,” including a recent batch tied to Iranian and Russian authorities. The company has also increased transparency in its advertising, allowing users to see all ads a particular Facebook page is running as well as disclosing who paid for any political ad. Those efforts have come at a considerable cost. Facebook, which has 2 billion users to Twitter’s 300 million, reported disappointing second-quarter financial results that sparked a massive sell-off. In addition to its controversy with Russian meddling, the company has had to weather the Cambridge Analytica scandal and strict new European privacy rules that have both highlighted the vulnerability of the user data Facebook hoards. Sen. Ron Wyden, D-Ore., asked Sandberg and Dorsey if they agreed that protecting user data is a national security issue (they agreed) and pressed Facebook to share internal audits showing how the company shared user information with cellphone manufacturers, particularly with Chinese brands with ties to the Chinese military, Huawei and ZTE. Sandberg could not commit to sharing the audit. “Personal data is now the weapon of choice for political influence campaigns and we must not make it easier for adversaries to seize these weapons against us,” Wyden said. Social media experts said fake foreign accounts remain a threat, but warned that authentic domestic accounts that spread propaganda also need to be addressed. Radio Free Europe/Radio Liberty, a broadcasting group funded by the federal government that is intended for foreign audiences, was found to be buying ads on Facebook targeting Americans.